At last, the Fifth Elements 5th release is ready to spread around the globe and make trancers, dark lovers and full power...ers stomp their feet and raise dust like theres no tomorrow. 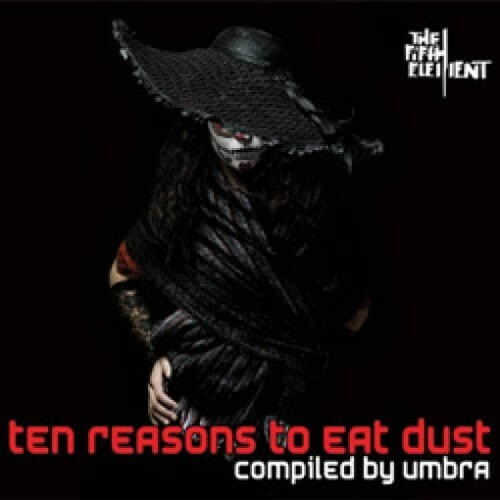 Ten Reasons to Eat Dust is compiled by Umbra. It features ten dark, crazy, and unique tracks that are sure to make you listen again and again. These sounds and rhythms are sure to make this album an instant classic.